The Vedas believed that there were 7 types of love to be had- all of which were influenced by the current state of our chakras. 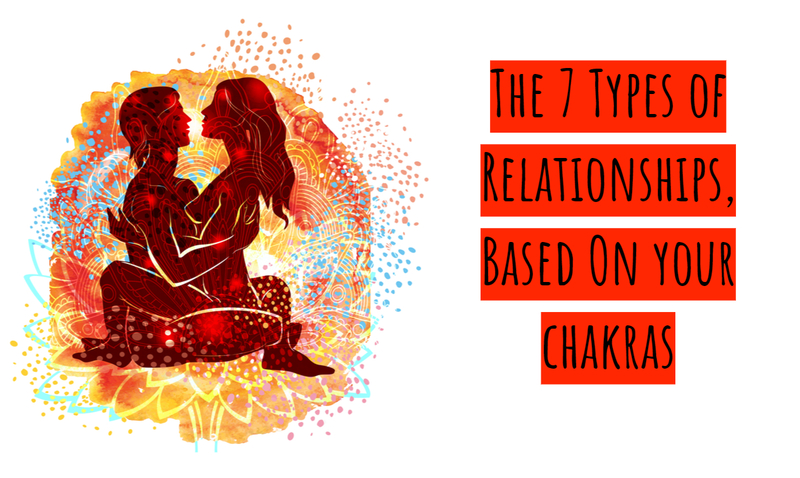 According to them, our most active chakra would most likely correlate to our current relationships and even determine whether they lasted or not. So how does your relationship(s) match up? Our root chakra correlates to our deep, and innate primal urges. It is either referred to as our survival chakra. Most of these relationships were by accident, and sometimes almost always begin as random encounters. However, once their energies mesh, it’s almost impossible to pull them apart. If both parties in a relationship have active sacral chakras, they are known to truly enjoy the simple pleasures in life. This couple is also usually more connected and better able to communicate with one another than most. However, on the flip side, when your sacral chakras are imbalanced- it can be a chaotic nightmare! People with active solar-plexus chakras experience more energy, confidence, fulfillment, and a high-level of self-worth. When balanced, they may feel content, for the most part. But, if this energy becomes overly active- it can result in narcissistic or egotistical traits that are unhealthy for a lasting relationship bond. The heart chakra governs are capabilities regarding love, regardless of whether it’s self-love or love within our relationships. Whether it is active and pushes us to love without bounds, or it is so inactive that we cannot trust, its influence is there. Our communication chakra lies within our throats and is the energy that pushes us to get our point across and say how we feel. This chakra can be in a highly-active state in which it allows us to communicate eloquently and concise. This leads to better relationship ties because open communication leads to trust and loyalty. Conversely, if it is overactive….there may be some intense shouting matches in the future for a couple that shares this conflicting overflow. When in-balance, couples with active third-eye chakras pair well together – so well in fact, that it is a rare occurrence. Together they form a power couple, that lives harmoniously and stays together for years. They share an intuitive understanding and deep empathy for one another so much that they are what most of us consider soulmates. Couples who have active crown chakras are usually a very interesting match. While their physical life may become non-existent, it is only because the couple is always focused on evolving and pushing forward- causing their bond to be similar to a successful business partnership. This is a unique, yet high-level of love, because it is connected to our chakra that links us to the divine. This is the twin flame connection that most of us only dream of.